Nixonton (also Nixons Town or Windmill Point) is an unincorporated community in Pasquotank County, North Carolina. Nixonton was once a municipality, having been incorporated in 1758. 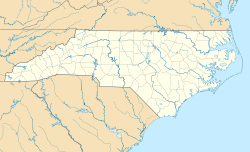 It is part of the Elizabeth City, North Carolina Micropolitan Statistical Area. ^ "Nixonton". Geographic Names Information System. United States Geological Survey. 1980-06-17. Retrieved 2007-12-23. This article about a location in Pasquotank County, North Carolina is a stub. You can help Wikipedia by expanding it. This page was last edited on 15 January 2018, at 03:22 (UTC).